My coffee cup is changing. I’m desperately trying to change with them. Once upon a time I got my coffee in a cup. A cup we’d all recognise, for it more than likely had a fairly obvious shape and came in a certain size that was just right for coffee. It might even have been a mug. Radical. And then my coffee was delivered not by someone, but by a thing, a machine from which it trickled slowly out into a throw-away receptacle. Now? Hey, I’m saving the planet. Can you feel my smugness? 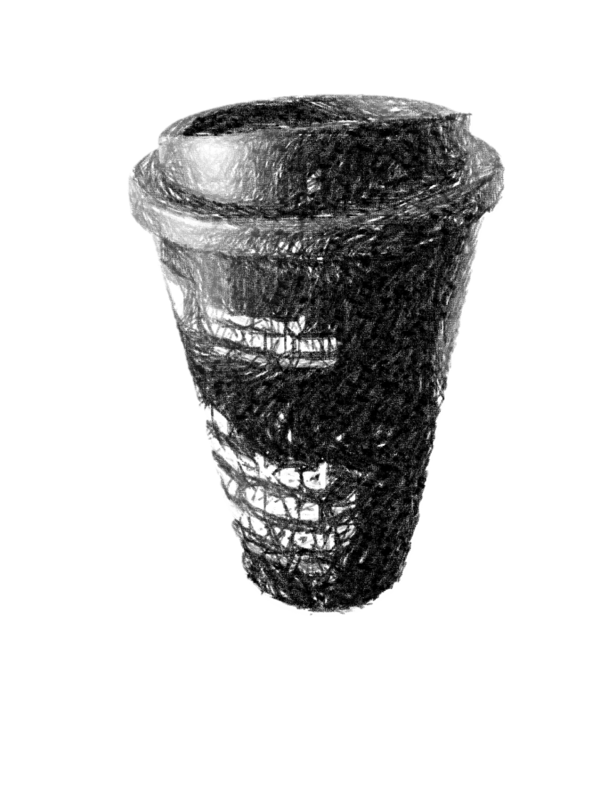 I have a reusable, refillable, recyclable cup that … unfortunately doesn’t fit under the many, many coffee machines in the many, many cafes across my organisation’s multi-sited campuses. When designing the most wonderful industrial machines that provide sustenance to many an early starter the world over, which engineer would ever have predicted that they’d need to adapt still further years later to meet the needs of a population of drinkers set not only on a morning caffeine fix, but also on being environmentally friendly? But it’s the truth. And each morning I am now faced with a dilemma – a true dilemma: use a non-disposable cup that fits under the machine (bad), or pour my coffee first into another cup, thereby dirtying it and causing extra water to be used in washing it up, for transfer into my new beast (wasteful). It’s a dilemma I feel ill-equipped to face. So I’m choosing my coffee spots carefully, occasionally ramming my cup underneath the machine at the best angle I can achieve in order to receive my morning nectar, and sometimes walking away, admitting defeat and turning to water instead. Who said that change was ever easy? Previous Post Not smart . . .
Next Post No matter what . . .